Please send me more information about Bella Ridge North Apartments. Now introducing Bella Ridge North! Your new apartment is ready to move-in today. Located in River Ridge, just outside of New Orleans, this new gated community is located within the Elmwood shopping and entertainment district. All the conveniences of the retail, dining, and salons that Elmwood has to offer are just a stone's throw away. This development in River Ridge has features and finishes comparable to downtown. 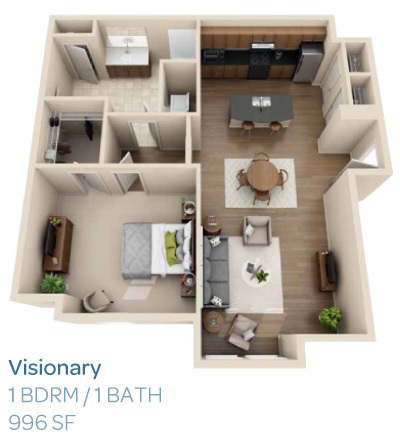 Just a short fifteen-minute drive to the CBD, Bella Ridge offers better pricing, larger floor plans, free multi-level, direct access parking and peace of mind. 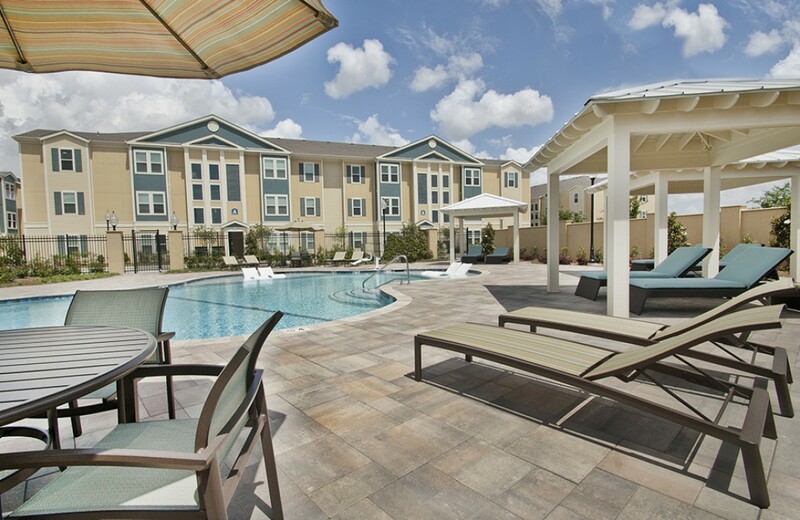 Bella Ridge North Apartments features brand new upscale one and two bedroom apartment homes. All interiors include stainless and black appliances with high-efficiency refrigerators, multi-cycle dishwashers and double stainless steel sinks combined with granite countertops and accented by recessed and pendant lighting. Faux wood flooring throughout, paneled doors, plantation style wood blinds, 10 foot ceilings with crown moulding and decorative woodwork create the look that you have been searching for. 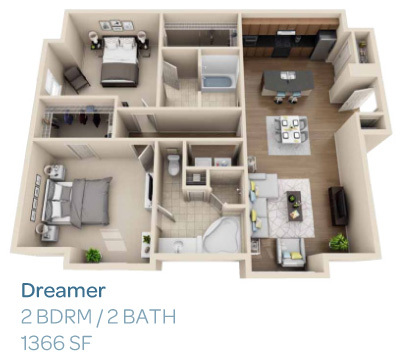 Combine these luxuries with full size washer and dryers, soaking tubs, separate showers in the master bathroom with dressing room sized closets and you will soon discover that Bella Ridge Apartments is truly the place to be. Come home to the convenience of free parking in our attached multi-level, direct access parking garages. Nowhere else in the New Orleans area can you have a covered walk leading directly to your apartment home. Reserve a cabana at our large resort style swimming pool complete with a tanning ledge and poolside delivery menu available 7 days a week. Work out in our on-site state of the art, 24 hour Fitness Center featuring the latest Precor equipment. Bella Ridge North caters to everyone, including your pets, by featuring the area's first on-site pet park. "Bella Bark" is a gated area exclusively for your pets so they can enjoy living life at Bella Ridge North. 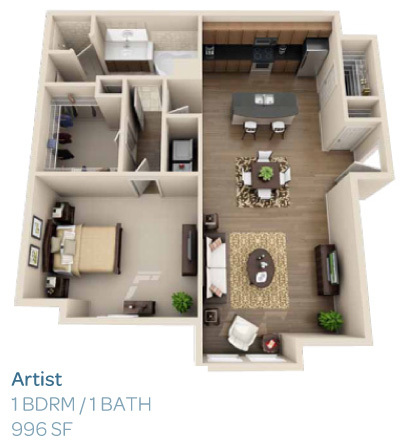 Bella Ridge North Apartments is bringing you the luxury lifestyle you deserve. Ask our team about the many services you can receive at Bella Ridge such as onsite car detailing, personal trainer, pet care, 24 hour laundry and dry cleaning valet, free bicycle & movie rentals and much more. Also, ask about our smoke-free building, which is now available. Review Love living here. Very nice property. The garage is a life saver when it rains. Great leasing staff!! Very spacious apartment and awesome layout! 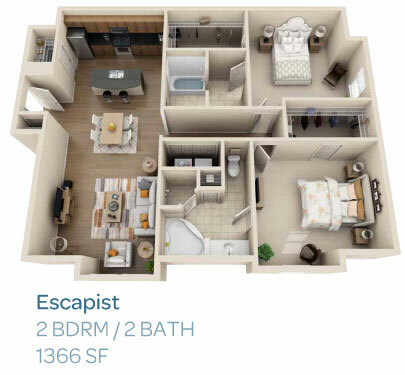 The bathroom and closet is what sold me in the 1BR!!! I Loved the Experience with the Staff. Jenn made sure everything was how I wanted it upon my move in Date. I'm really enjoying my new place of residence. I have enjoyed the Bella Ridge experience. They are quick to resolve any issue you may have. My neighbors have been very respectful and friendly. The management team has several events throughout the year like passing out doughnuts as we left for work. Snowballs in the wonderful dog park. Wine tasting which was a lot of fun. The biggest enjoyment for me was the swimming pool that is kept clean and the cabanas where you can lay out to relax. My overall experience at Bella Ridge has been GREAT. The staff assisted me and my family in a very professional manner. New member of the Bella family! I am very happy with the friendliness and responsiveness of the staff throughout my early experiences. They have always been quick to answer any questions Ive had and were very helpful in showing various apartments to me. 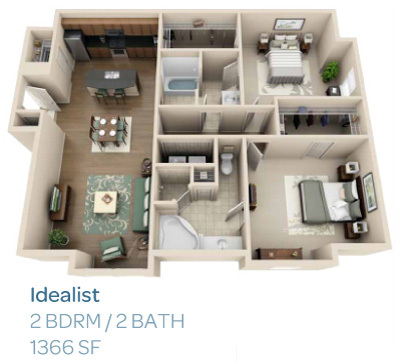 The apartments are very modern, have a spacious floor plan, and are just really nice overall. However, I’d say the excellent staff is the true strength of Bella. Can’t beat the covered parking situation either! Also, Terri is my new best friend now that we know that we write the same. I currently started leaving for a month now and I just moved down from Chicago. It is a really amazing place. The apartment has super great amenities and the managing staff are pretty cool. The structure of the houses are fantastic and I mean fantastic. Hardwood floors, huge walk in closets, really large living room space plus granite and stainless kitchen. I mean, all round amazing. Also, the amenities are pretty awesome. I mean, pool, free movie rentals and they change out the movie set every month, free bike service. It is pretty great. You should come over! and give them a chance! You would not regret it. It has been an adventure so far and I am looking forward to the rest of it.